The mineral rich lands of Balochistan, a province that is given little importance and consideration in the status quo of the country, regardless of which party or pillar of the state comes into power, has never really been paid heed to. The neglected province, which borders with Afghanistan, Iran and the Arabian Sea, makes up 44% of Pakistan’s total area covering 347,190 sq/km. The largest chunk of the country is home to almost 1 crore and 60 lakh people, according to the projected census, making 6% of the total population in Pakistan. Previous to ceding to Pakistan, Balochistan was run by a Khanate — a state of its own, run by the Khan — before it came under the British government. During the course of Pakistan’s independence, Balochistan under Khan Ahmed Yar Khan decided to side with Pakistan and become a part of the new country. On 27 March 1948, Balochistan became a part of the new nation and the Khanate system was abolished on 14th October 1955, when One Unit was introduced and the state became a part of West Pakistan. Almost 70 years gone, Balochistan still remains unexplored and a bone of contention for many. The locals, being Baloch, Pashtun, and Brahvis, over the period of time, have become immune to steadfast patriotism due to a plethora of reasons. The biggest drawback in the province’s history came when a prominent political, bureaucratic and nationalist figure of Balochistan, Nawab Akbar Bugti was killed in the mountains of Dera Bugti after a military operation conducted on the orders of General Parvez Musharaff. Ever since then, the factor of patriotism in the locals of the province has died down significantly. Just taking a leaf out of an example, the Quetta Cantt, which is considered as the best spot in the capital city, is out of the locals’ reach and remains inaccessible. Every year, in the first week of August, the sense of festivities embarks on the roads of the city with gigantic posters and flags of Pakistan — only to be forgotten a week later. Why? Let’s scrutinize it with all that’s happened recently. On August 8th, 2016, one of the tragic most incidents in the province’s history took place. Arguably, the strongest pillar of the province collapsed in a matter of minutes. 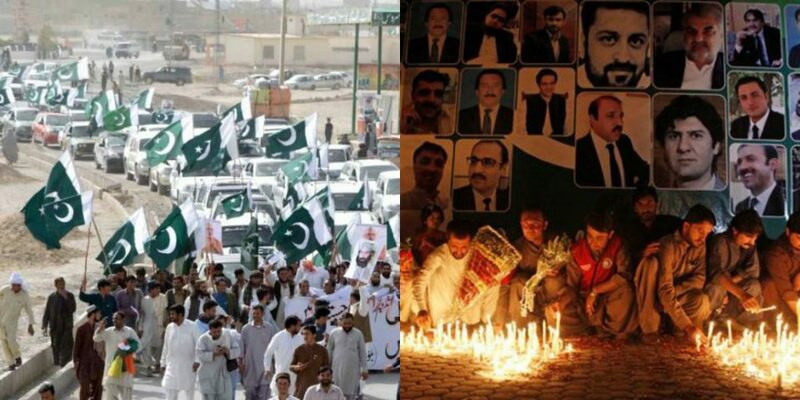 The judiciary of Balochistan was targetted in a heinous suicide attack which was planned to perfection. 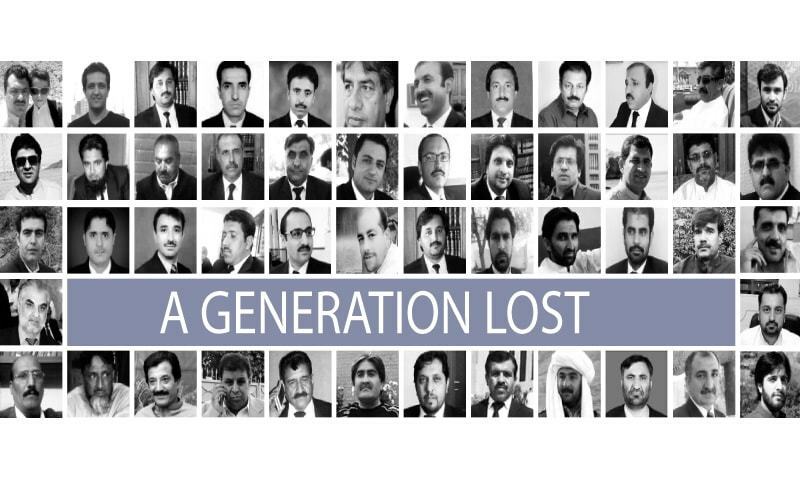 Almost 70 prominent and capable lawyers/judges lost their lives — derailing Balochistan’s judiciary altogether. It is said that almost every person in the city lost someone close or someone they knew — such was the impact of 8th August. Thereon, the people of the province decided to boycott last year’s independence day, as the feeling of hurt, pain, and sorrow overpowered the feeling of being free. There was mourning inside every house in the province and dead bodies of the deceased were being sent to different parts to their ancestral villages. One year later, the majority of people in the province were looking forward to forgetting harsh realities and what had happened the previous year. One could sense the seldom humbling feeling of patriotism in the air — little stands with independence day accessory resting on tables could be seen, cars with miniature flags tied to windows and rooftops with huge flags of Pakistan swaying with the mountainous air pressure in the valley. On 12th August, that wait and longing for independence faded yet again. Around 9:00 pm, a suicide bomber blew himself up near Pishin Stop, a crowded area. A military truck was targetted and 20 people martyred, with another 40+ getting injured. The majority who lost their lives belonged to the Pakistan Army. More bodies for homes in Balochistan and more pain for the hearts of its people. One could put forward a list of reasons for who is responsible and who is not, but the question the people of the province forever ask is, “Yeh sirf Balochistan ki awaam ka naseeb kyun hai?” — a question that nobody can answer in toto. The social media display pictures have already turned black — all people can talk about is the incident or the one that took place last year. 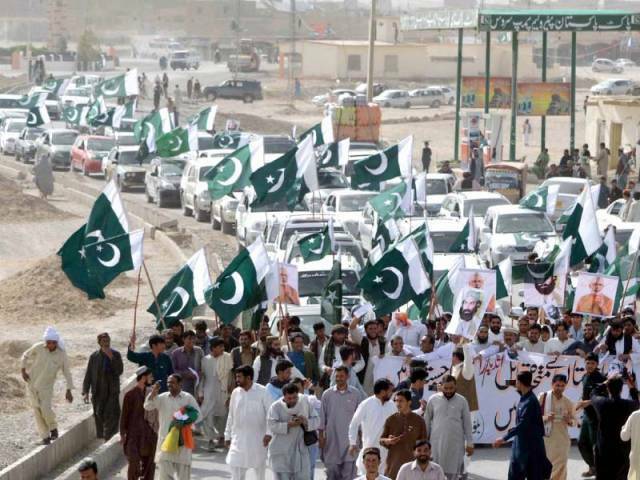 It seems that Balochistan will miss out on heartfelt emotions of independence another year. Pakistan Zindabad.